Photographed and designed unique cards for each month’s nail polish subscription box. 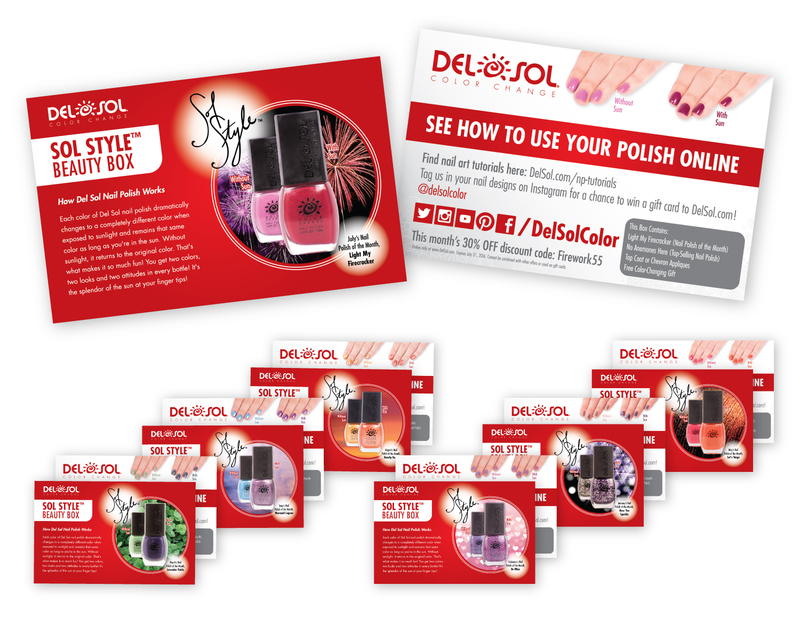 Worked with Product and Web teams to create a double sided card to be inserted into our monthly Sol Style™ Beauty Box nail polish subscription service. Template created to allow information to be easily found each month, including Nail Polish Bottle images, supplementary background, hand model shots and 30% off promotional code. Each month I led the team to take new product and hand model photography and update the design of the card with enough lead time to allow them to be printed and distributed on time.